Dragon Slot by Leander gets high ratings from experts. An important reason for this is the how easy it is to play this slot because of its simple layout. With its five reels and three rows fitted with 20 pay lines, it's easy to keep track of potential wins forming. The standard symbols on this slot range from the ten to the Ace. The more important animations, however, are the theme-related animations, which are sharp and entertaining. Also, the background is done beautifully and delivers the finishing touch. The golden dragon functions as the wild and expands when it is part of a winning combination. Also, the wild symbol has a special function during free spins. This golden dragon can substitute for any other symbol except the scatter, the bonus symbol, and free spins symbol. And that is pretty standard. What happens when you let a professional drawer work on a slot with a dragon theme with fantasy influences? 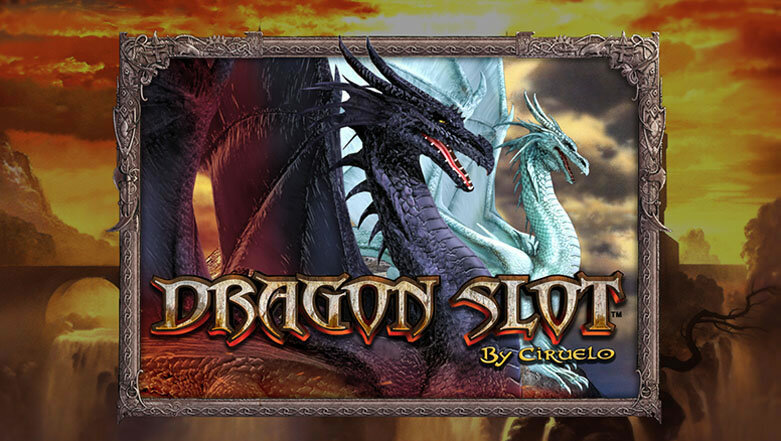 You end up with a slot just like Dragon Slot, a game by software developer Leander and one of the most successful dragon-themed online slots. Ciruelo has taken care of the animations and the slot is an aesthetic masterpiece. The layout of the slot is simple when it comes to the reels, rows, and pay lines, but you will forget about all this once the white dragon fights the red dragon in the bonus game. Additionally, during free spins, you will focus more on the many winning combinations that form than on the game’s standard layout. 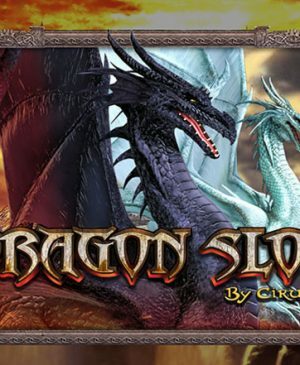 How to play Dragon Slot? 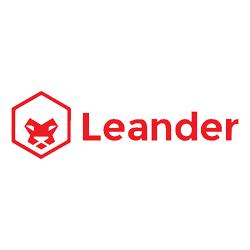 Dragon Slot by Leander gets high ratings from experts. An important reason for this is the how easy it is to play this slot because of its simple layout. With its five reels and three rows fitted with 20 pay lines, it’s easy to keep track of potential wins forming. The standard symbols on this slot range from the ten to the Ace. The more important animations, however, are the theme-related animations, which are sharp and entertaining. Also, the background is done beautifully and delivers the finishing touch. The golden dragon functions as the wild and expands when it is part of a winning combination. Also, the wild symbol has a special function during free spins. This golden dragon can substitute for any other symbol except the scatter, the bonus symbol, and free spins symbol. And that is pretty standard. Dragon Slot is equipped with free spins, for which you do not need the scatter. The symbol that unlocks free spins is the knight. This knight symbol also simply reads the words “free spins” and can only show up on reels one, three, and five. Once you have a scatter on each of these three reels, free spins get triggered. During this feature, the first reel is entirely wild during the entire feature. 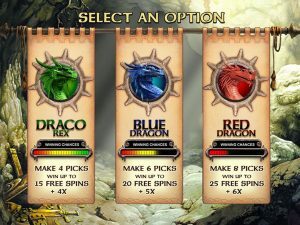 However, before free spins start, you will first have to pick your dragon and number of free spins and multiplier. The dragon has to defeat the knight and you can find a dragon’s likelihood of winning written below it. When the dragon wins, you receive all free spins and the multiplier. 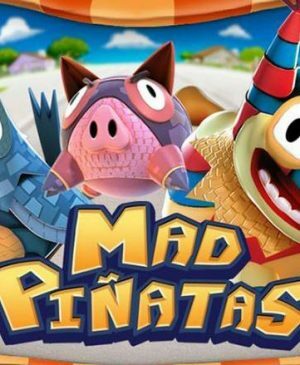 If the knight wins, you receive 10 free spins and a multiplier of 1x. The biggest gamble can lead to the highest returns, but also to the largest losses. When three bonus symbols land reels two, three, and four, the bonus game gets unlocked. And this is quite an amusing bonus game in which you play the white dragon and have to defeat the red dragon. Each attack that does damage to your opponent leads to wins and you will have to deplete the red dragon’s health bar. If you pull that off, you will also win an extra bonus. 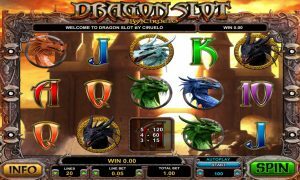 Dragon Slot is fitted with a total of 20 pay lines, and you can configure the number of active ones at the bottom of the slot. You can also configure your bet at the bottom of the slot and activate the autoplay function using the Leander settings. Make sure to turn on the sound as not only the animations but also the sound effects are definitely worth your while.